The question of which book turned me into a reader is complicated for me. The concept of reading for enjoyment broke through in fourth grade. My father forced nightly sessions of The Hobbit down my throat, despite all my “books-are-stupid” protests. Night after night, I went from obnoxiously pretending not to listen, to grudgingly accepting the readings as unavoidable, to secretly looking forward to them, and finally to skipping school one day to finish the novel all by myself. The Hobbit opened my mental doors to the magic of books. However, it wasn’t the book that made me a truly insatiable reader. That one came years later. In 1990, I was a gangly, unsure twelve-year-old. I wasn’t a social outcast, but I was far from the center of attention. I often avoided challenging or unique interactions with my peers. 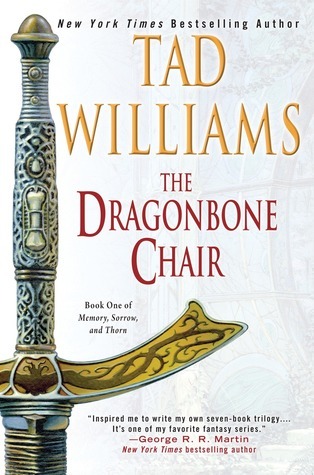 During that summer, while visiting my grandparents’ house in Chicago, I came across a fantasy book by Tad Williams called The Dragonbone Chair. It tells the story of an orphan named Simon who gets caught up in a deadly rivalry between two bitter princes. Ultimately, he faces an ancient evil that threatens his entire world. Already a fantasy fan from my Tolkien roots, this book walloped me with the size and scope of a truly epic story. I was hooked, and that obsession carried me through the rest of the series (Stone of Farewell and To Green Angel Tower). I remember being profoundly sad when it was over, like I’d lost a friend. Because I was reading the Memory, Sorrow, and Thorn series as it was being published, I had long years between releases. This is when the hunger began in earnest. I started reading every epic fantasy series I could get my hands on. The longer and more sprawling the better, and please please please have a map! Feist. Brooks. Eddings. Gemmell. Herbert. Steward. Le Guin. Adams. Jordan. Goodkind. My stable of favorite authors grew exponentially, each new magical world a fresh adventure. It all started with Tad Williams, Simon of the Hayholt, and a throne made of dragon bones. I’m enrolled in an MFA program in Vermont that focuses on writing for children and young adults. At the beginning we were told to reread a book from our childhood that was important to us. I chose The Dragonbone Chair, and I’m delighted to report that the book is every bit as magical to me at 39 as it was at 12. A few months later, I was strolling the convention floor at Comic-Con and saw that one of the booths was giving away new editions of The Dragonbone Chair. I beelined over and, heart in my throat, asked what the hell that “ancient” book was doing there. The woman smiled and told me that Tad Williams is going back to the world of Osten Ard, releasing a new trilogy exactly 29 years after the last volume was published. I damn near cried. I have goosebumps just typing about it right now. My favorite story of all time will have new books. Twelve-year-old me is back in the cockpit, and he can’t stop smiling. As a writer, I think The Dragonbone Chair taught me to think big. I love expansive, complicated world-building. I love a plot that thunders, unfolding over several volumes. In my own work, I’ve written six works in the Virals series and two in the Project Nemesis series, with the possibility of more to come. I’ve never written an epic fantasy… not yet. In a way, I’m intimidated to enter the same pool as the masters who made me love the written word. I’ll get there eventually. I want to create the same wonder in a new generation of readers. I want to make worlds, too. 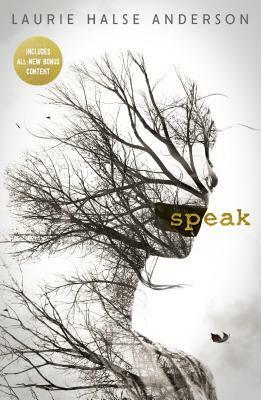 After three long years of working as a litigation attorney, Brendan Reichs abandoned the trade to co-write the Virals series. He has since helped co-write four more Virals books, and has published his first solo title, Nemesis (March 21, 2017). Brendan is also on the Executive Board of both the YALLFest and YALLWest young adult literary festivals. You can join the festivals in either sunny Charleston in November or even sunnier Santa Monica in April.